IRAs, or individual retirement accounts, are very similar to 401(k)s, which I discussed here yesterday. They are also a retirement plan where you invest your money in various things such as stocks and bonds. As with 401(k)s, there are also penalties if you start withdrawing before you are 59.5. You must make regular withdrawals starting when you are 70.5 or half of your mandatory withdrawal amount will be taken as a penalty. So what are the differences between the two? Well, to start, the maximum contribution for an IRA is much lower than a 401(k). For 2009, the maximum amount a person under 49 can contribute is $5,000; the maximum for those 50+ is $6,000. You are not allowed to borrow money through an IRA. IRAs are run through banks and brokerage firms rather than the company you work for. This CAN (though it is not guaranteed) lead to a larger variety of investment options. You also can adjust your investments whenever you want, whereas many 401(k)s will only let you change your investments periodically. The money that you are allowed to put into an IRA is limited essentially to money that you would earn at a job (wages, commissions, bonuses, etc). Things such as dividends, profit from stock trading, money from renting property, etc. cannot be deposited into an IRA. Therefore, if you make $3,000 from a job and $40,000 from the stock market, you cannot deposit the maximum amount of $5,000. Only the $3,000 is eligible for the IRA. Another important distinction to note is the ability to deduct the money from your taxes. When you invest money in a 401(k), the money is taken from your paycheck before you even pay income taxes. When you invest in an IRA, you put the money down on your tax form as a deduction. Depending on the amount of money you (and possibly your spouse) makes, you might only get a partial, or even no deduction. If you get no deduction, the benefits of using an IRA are drastically reduced. Also consider whether your employer offers a 401(k). If they are willing to match the money you put in, that might be a better choice because you'll be putting more money in, which means more money will accumulate. However, if the money would not be matched and you would qualify for the tax deduction, maybe the ability to invest in a greater variety of options and be able to change your investments at will makes an IRA a better choice for you. A 401(k) is an investment vehicle specifically for retirement. The plan gives you an option between taking the money in cash (not investing) and deferring a percentage of your paycheck to the plan (investing). The money you defer to a 401(k) account is not taxable until it is withdrawn from the plan. This means that when you defer money from your paycheck, it is going into your 401(k) plan before income taxes are calculated. Also, the money that your investment generates is also not taxed until it is withdrawn. A 401(k) is not simply a savings account for retirement. This money is actually being invested - and you get to determine how. Plans can offer investments in mutual funds, stocks, index funds, bonds, etc. Not all plans will include all options. Often your employer will offer to match some of your money if you defer a certain percentage of your paycheck. I suggest you defer at least the minimum if this is offered. There are several rules that the government has placed on 401(k) accounts as well. The money can only be withdrawn from the account (without penalty) if you retire, die, separate from the company offering the plan, are 59.5, if the plan is terminated or if your employer allows you to withdraw due to hardship. There are restrictions on the amount you can put in. In 2009, you can only defer $16,500 ($49,000 total when combined with the money your employer contributes). If you are older than 50, you can defer $22,000 ($54,000 total). If money is taken out prematurely, it will be taxed and there will be a 10% penalty. Another interesting thing that 401(k)s offer is that you can take loans from it without incurring the 10% penalty. You have to pay (yourself) interest, but the interest rates are typically lower than one you would most likely get with a traditional loan. As appealing as this may seem, it is not a good idea. First off, you can't contribute any money to your 401(k) if it has a loan out. This means you are missing out not only on deferring money from your paycheck and not having to pay income tax, but you are also missing out on any money your employee would have contributed and the interest that would have compiled. Also, the money that you are paying it back with is going to be taxed twice. You are going to be paying using money that you paid income tax on. You also are also going to be taxed when you retire and withdraw your money. If you end up not being able to pay back the loan, it will be considered a premature withdrawal, and you will be charged a 10% penalty. Finally, when you have a loan taken out on your 401(k), if you change jobs, it is required that you immediately pay the loan back in full. If you are offered a more lucrative job, you will be forced to either give it up, or struggle to pay back your loan. Now, since you are given a choice of how to invest your money within your 401(k), how should you? To start, your company should give you different options. Obviously you should look into all the different options and consider how much you are willing to risk, how much you need to make, what the company suggests, etc. It is always a good idea to diversify. However, a good rule of thumb to invest by is this. From the time that you begin investing in your 401(k) to about 10 years before you plan to retire, you should invest aggressively. This means stocks. Over time, stocks will have the greatest return. Since you will be investing over a significant period of time, the volatility of the stock market should not affect your investment too much. When you get closer to retirement, you should move your money into safer vehicles, such as bonds. Now 401(k) plans are not something that you should use for an emergency fund. They are NOT liquid. They are meant to be used for retirement only. It is possible to use it earlier, but you will incur heavy penalties and seriously hurt yourself in the long run. Also, you should always start investing in your 401(k) as early as possible. It is estimated that your money will double every 8 years. Putting it off will seriously diminish the amount you will have when you retire. Your investment is insured in the sense that if your company goes under, you won't lose all that money. However, the money within the 401(k) is not insured. If you make a bad decision in your investments, there's no way to get that money back. One big benefit of putting your money into a 401(k) is that the money never goes through you; it is automatically deposited. This way you can't take the money and use it for something else. Overall, you really should consider 401(k)s as a way to save for your retirement. What companies should you be investing in if you think the economy is only going to get worse? Well you might think that's a stupid question, why would you want to invest in companies when they economy is going sour? Well believe it or not, there are some companies that might actually fair well. When investing, you can take two strategies. First, look at companies that will do well during the recession. Some of my favorites are Altria, Kroger, American Public Education Incorporated, and Advanced Auto Parts. How did I pick these companies? Well you want a company that has a product that people are not going to drop during a recession. That's where Altria comes into play. Altria Group owns Phillip Morris USA and John Middleton, amongst other cigarette manufacturers. Cigarettes are one of the things that most people will not stop buying when they look to cut down costs. Altria should be able to post steady revenue, which is so rare in a recession that people will be willing to pay more for the earnings (P/E ratio) which will send the stock price higher. They also have a nice dividend (more about this later). So pick a company that has a product people are not going to cut back spending on during a recession. Kroger is another stock that will perform well. Kroger is a grocery store and when people cut back on spending, they stop going out to eat and start going to the grocery store. But there's another reason Kroger and other grocery stores make a good buy. You might buy Kraft or PepsiCo because, well if people are cutting back on eating out, they will buy Kraft/PepsiCo's products so they can eat at home. But that's not the case. These companies are brand names, which are more expensive. Often grocery stores offer their own brands, which are generic and therefore much cheaper. That's why I would buy a grocery store over Kraft. Because not only is Kroger going to see increased revenue just from the fact that people are flocking to the grocery store, but when people go to buy macaroni, they aren't going to reach for Kraft, they will go for the cheaper store brand. I talked about why I like American Public Education Incorporated in an earlier post, but just in case you missed it, I'll explain it again. As more and more unemployment occurs, people are going to be left trying to find out what to do with their time. One of the best ways to allocate your time is to further your education so you have a better resume for employers. But most the people who are being laid off have families and thus going to a college campus somewhere is not an option. But online school is. That's why I like American Public Education Incorporated, because they are in the online education business and their revenue is going to increase as more and more people become unemployed and enroll into online school. So investing in online colleges might be a good idea. I also talked about car repair companies in the same post, but I'll also mention them again. Advanced Auto Parts fits the idea that since people are cutting down on spending, they will not buy new things, but then they have to get things repaired instead- cars, for example. You may not be able to afford a new car right now, but you still need one. As less people buy new cars, the car fleet in America is getting older, and since most Americans need cars, they will have to get them repaired. Companies like Advanced Auto Parts and other car parts/repair companies will see their business revenue increase as more and more people bring their car in for repairs and new parts instead of buying new cars. These are all companies that will play off the poor economy. You also have the option of investing in solid companies that have high dividends. Like General Electric, Johnson & Johnson, Bristol Myers, and AT&T. These companies all provide high dividend yields. The idea behind this strategy is that these companies are solid, well-run companies. In a bad economy, their share prices won't go up, but at least you can still make money off of the high dividends until the economy improves and their stock prices recover. But make sure the dividend is safe, if a company has loads of debt, no cash, and is paying a 20% dividend, obviously something is not right and they will end up cutting their dividend. Companies like Bristol Myers and GE have enough cash to pay off their dividend, so they make for a good investment. I am not saying you HAVE to invest in these companies, but it is the strategy behind how I chose these companies that you should look at if you think the economy is not recovering anytime soon. Be sure to check back tomorrow if you want to know what to strategies to take when investing if you think the economy has already bottomed. The next few days I will continue to give different investing options for different economic forecasts. So What Are Market Money Accounts? Money market accounts are accounts you open with a bank, where you deposit your money and it collects interest until you want to use it. You typically have a limited number of transactions allowed per month. It is an extremely safe investment because up to $100,000 ($250,000 until the end of 2009) is insured by the FDIC. This sounds like a savings account doesn’t it? They are actually very similar; money market accounts are sometimes even known as high interest savings accounts. So what is the difference? Why does a money market account earn a higher interest rate? When you open a savings account, you are allowing your money to be loaned out by the bank. When you open a money market account, you are giving your money to the bank to invest in the money market. To put it simply, the money market is a place where CDs and treasury bills, among several other things, are traded. You don’t own anything the bank is trading. It’s not like you can claim a particular treasury bill that the bank bought without your money. The money from your account is pooled with the money from all the other money market accounts open in that back. However, this is just background information. None of this really impacts your investment because the bank deals with all of the trading and just pays you interest for using your money. While it may seem risky that you are trading in a market like this, it is not at all. The bank is is the one making the trade, taking the risk and getting any profits. You are getting your guaranteed interest regardless of how poorly or well the bank does. Everyone has a different opinion of what direction the market and economy is going to go. Some think we are headed into a depression, some think we've seen the worst of it, some believe certain sectors are ready to take off. In the next few days, I will take a look at a few different strategies you can take when investing depending on what you think will happen. I'll show you what kind of companies to invest in depending on what you think will happen in 2009. Also, feel free to give me your opinion of the economy in 2009 and I will be glad to give you some picks on what stocks work with your forecast. So today we had a nice rally of 200 points in the Dow Jones, thanks to a strong performance by bank stocks. But that doesn't mean anything. Tomorrow we could see a 300 point drop because someone reported bad earnings. The bank stocks got a lift from news that the Fed will keep rates at almost 0% all year long and the Obama Administration is moving quickly to buy up more toxic assets from banks. Additionally, House Democrats leaders announced today that the Stimulus Bill is expected to pass the House. While this is all good news for banks, don't be fooled by this market ripple. Today Starbucks and others announced even more layoffs. As companies continue to release earnings, they keep announcing massive layoffs to help cut costs. Don't overlook this. As more layoffs occur, companies based on consumer spending will continue to see their earnings deteriorate. The job losses from this week alone are really adding up. Lastly, the Stimulus Bill is supposed to pass the House, but that does not mean it will pass the Senate. Democrats do not have enough votes to bypass a filibuster, and right now Republicans seem to hold strong opinions against the excessive spending of the bill and a lack of tax cuts. The market is expecting the bill to pass, but it will probably find resistance in the Senate. And if it doesn't pass the Senate, do not expect the market to take it well. Having said that, I don't think the bill will never pass, I just don't think it will pass right away. Republicans and Democrats both agree that some kind of stimulus package needs to be passed, but not on how it should take shape. And I have faith that President Obama will be able to stretch across the aisle and bring both sides together. If the bill doesn't pass the first time, it will present a great buying opportunity as the market will likely push down prices. Keep following how strong Senate Republican opposition is to the bill is so you can predict if the bill will get passed or not. And amongst all the news of stimulus and banks, do not lose sight of unemployment. Savings accounts are pretty much the simplest way to invest your money. Over 65% of Americans already use one. You put your money in the savings account, interest accrues and that’s it. Savings accounts can have some restrictions on the number of transactions or withdrawals you can make. However, there are so many different options out there that it will be easy to find one that corresponds with what you want from it. Assuming you choose a bank that is FDIC insured, which you always should, up to $250,000 of your money is completely safe. (In case you missed it, the FDIC is raising the maximum amount they will insure to $250,000 until the end of 2009 at which point it will revert back to $100,000.) Compared to many other forms of investments, they are very good for emergency funds. There will never be any risk of a loss just to get your money right away. Also unlike many other types of investments, it is reletively easy to withdraw smaller portions of your money. One thing I would really like to emphasize is online savings accounts. Right now the interest you will be earning in a traditional savings account is pitifully low. For instance, Bank of America is offering 0.20%. While it may appeal to you because your money will be safe, it’s going to be earning you virtually nothing. If you are looking for more of a return, check out online savings accounts. It may sound unsafe, but many of these online banks have been around for years and are FDIC insured. Online banks can afford to give you a higher interest rate because they don’t have many of the expenses of a traditional bank, such as paying for a building, tellers, etc. Here is a quick comparison to show you the difference. Is It Time To Get Back In The Market? Soon enough. I would say if you want to get back into the market, do so on Feb 9th. After this week, we will have cleared the bulk of earnings reports that are coming out and we will have seen Friday's CRITICAL GDP report. The first week of February will be plagued by talk of unemployment as the January unemployment number comes out on Feb 6th. After all this has passed, we will have a much better idea of which way the economy is heading, whether it is getting worse or not. We will have an idea of how bad unemployment is getting, whether the GDP is contracting or not and as earnings come out, you will know what companies are forecasting for 2009. During earnings season, you may be inclined to solely focus on the earnings of the previous quarter, don't be. This is a lagging indicator. Instead, focus on what the company is saying about the rest of 2009. If they are not giving any estimates for 2009, that may be a sign that management thinks its business is going to suffer and the numbers will be bad. If management thinks it will have a strong 2009, you might want to look into the company. No one knows the firm better than its management. You can better assess what stocks to buy, when to buy them, and at what prices to buy them at. Do not be impatient, if you get into the market now, you might be paying too much for a stock as weak unemployment numbers could hurt the company's value. Have you ever considered investing in corporate bonds? Corporate bonds are issued by companies as a way to raise money. You are essentially lending them money and they will pay you back with interest. They promise to return your money when the bond matures. Corporate bonds are not equal to stocks -they give you no holdings in the company. Think of yourself more as a bank in this case, lending money out to a company. Corporate bonds can range from one to thirty years. Usually you will receive interest semi-annually in payments known as coupons. This means that you receive a regular income from these bonds. Corporate bonds are not for the inexperienced investor. If you want to invest in corporate bonds, you need to know how to read and understand a company’s balance sheet; comparing their debt to their assets. You should be able to predict the company’s future business prospects and future cash flow. It is important to analyze the company’s business to know how much of a chance there is that a company will default on their loans. If the company defaults, usually bond holders will get their money back, but their profit is often negligible. It is important to know whether your bond is callable. This means that if interest rates drop, the company has the right to pay off the bond immediately (meaning you won’t make as much) so they can issue new bonds at a lower interest rate. If your bond is callable, you should be receiving a higher interest rate. It is also important to note any other events that could impact the company whose bond you are buying. For instance, if your company buys another company, its debt might go up, which increases its risk of defaulting on your bond. Corporate bonds will always have higher rates than government backed securities, but this is because they are a much higher risk. However, they do not all hold the same risk. Their risk is based upon their credit risk, or risk of defaulting. Agencies such as Moody’s or Standard & Poor’s can tell you a company’s credit risk. The lower the grade (higher credit risk) a company has, the higher the risk you are taking by lending them money. However, these companies will offer a higher yield. You will need to balance how much risk you are willing to take with how much yield you want. Lastly, the longer your bond takes to mature, the higher yield you will receive (usually). Corporate bonds are extremely easy to liquidate. There is a large market for buying and selling corporate bonds. However, it is important to consider interest rates when you are selling a bond before maturity. If interest rates have dropped since you bought the bond, your bond will likely be worth more on the market since the bonds issued more recently will be at lower rates, making yours worth more. The opposite is true if interest rates have risen since you bought the bond. Your bond will likely be worth less since bonds issued more recently will be worth more since they have higher rates. Another factor that can affect the price you will get for your bond is the credit spread between government issued bonds and the corporate bond you own. If the difference in percent yield is high, that is a wide credit spread; if it is low, a narrow credit spread. If the credit spread narrows, because say the company’s risk went down and is not considered as risky of an investment, future bonds will have a lower yield. This means your bond will be worth more. As the credit spread widens, if the company’s risk goes up, future bonds will have a higher yield, making yours worth less. Those two factors only really matter if you are planning to sell your bond. If you keep it to maturity, assuming the company doesn’t default or recall your loan by paying you back early, you will receive the amount it is worth. However, those factors are still worth considering in case there is an emergency and you need to liquidate your bonds unexpectedly. Now, how do corporate bonds fit into today’s economy? So far this month, 15 (14 US based companies) have defaulted on their loans. This is triple the number for just one year ago. Last year 126 companies throughout the world defaulted, three quarters of which were from the United States, and most were from the second half of the year. Yet in 2007, only 22 defaulted worldwide. Due to the bad economy/credit problems, companies now are more likely to default. One analyst from Standard & Poor’s predicts that there will be an average of 17 defaults a month this year. How does this impact corporate bonds? Well, the more likely it is that the company will default, the higher yield they will offer. Buying a corporate bond now will likely have a high yield due to increased risk. As with any investment, you should consider your financial situation. Caterpillar missed its earnings per share estimate by 23 cents and reported a profit of $661 Million compared with a profit of $975 Million a year ago. American Express missed its earnings per share estimate by 1 cent and reported a profit of $172 Million compared with a profit of $831 Million a year ago. McDonalds beat its earnings expectation by 4 cents a share and reported a profit of $985.3 Million compared with a profit of $1.3 Billion a year ago. Amgen missed its earnings per share estimate by 1 cent and reported a profit of $961 Million compared with $835 Million a year ago. Texas Instruments beat its estimate by 9 cents a share and reported profits of $107 Million compared with $756 Million a year ago. Kimberly-Clark missed its earnings estimate by 2 cents a share and reported a drop in profit of 8% from a year ago. Should I Invest In Certificates of Deposit? Certificates of deposit, or CDs, are a popular way to invest money with no risk. CDs basically involve putting your money in the bank for a fixed amount of time, until it matures, where it will receive a certain interest rate. Interest rates for CDs vary according to several different factors. Different banks can offer different interest rates. Typically, though not always, larger deposits receive larger rates. Longer maturities can also receive higher rates, though again, this is not always true. The FDIC normally insures deposits up to $100,000; until the end of 2009 deposits of up to $250,000 are insured. CDs are sold by banks as a way to guarantee that they will have money on hand, so they give higher rates than a savings account. In order to discourage you from taking your money out before it matures, banks do charge a penalty if you do so. However, since they are relatively easy to break compared to Treasury Securities, they usually receive a lower interest rate. CDs usually have a locked in interest rate. There are some variable-rate CDs that allow you to change your rate once before it matures. These are good because this way if the rate goes down, you are protected. However, if it goes up, you have the option of bumping up to the new rate and making more money. Interest from CDs can be dealt with in several different ways. You can choose to have the interest reinvested, in which case you’ll be getting compound interest. Or you can have the interest mailed to you as a check or deposited in a different account. Both of these have advantages, you can either make more money in interest or get some of the money to use right away. CDs are one of the safest ways to invest your money. However, because CDs require no risk under $250,000, they do not typically pay as high interest as other investments do. However, if you are able to lock your money up for a long period of time, you could get a sizable return. If you are looking for a low risk investment, CDs may be right for you. As promised, I want to keep you guys updated with new layoffs and where they are occurring. Caterpillar announced today it is going to lay off 20,000 workers. Sprint Nextel is laying off 8,000 employees. Home Depot is laying off 7,000 workers. The new Pfizer Wyeth deal is expected to cut 8,000 jobs. Housing posted a surprising gain in December. Today existing home sales figures came out and they posted a 6.5% gain from November to December. Housing sales were up because prices of houses have been slashed so much that people are going out to get them at bargains. Is this a sign that housing has bottomed? Maybe. But be aware, that this does not mean the housing crisis is definitely over. Unemployment numbers are still rising. As unemployment continues to increase, people will become more frightened of losing their jobs. When people are scared that they might lose their job, they are not going to go out and make big purchases, such as buying a new house. So we may see a drop when January home sale figures are released. I'm not saying that it will drop for sure, just be aware that this trend may not continue. Nancy Pelosi said she is still against nationalizing any banks, but is seeking more money to buy up more toxic assets from banks. Home builders and other industries are lobbying congress to add more incentives for themselves in the bill. John McCain said earlier today on "Fox News Sunday" that he wants a re-write of the bill and would not support the bill the way it is right now. On the flipside, Nancy Pelosi said she is willing to consider GOP ideas, but is unlikely to add the larger tax cuts the GOP wants. House Minority Leader John Boehner stated he is voting against the bill if it is not changed. The Federal Reserve, in light of the recent economic troubles, has lowered interest rates to nearly zero. I talked about this in detail a week ago in this post. This means that the rates that are being given at the moment for treasury securities as well as other forms of investment are ABNORMALLY low. The graph below shows how the investment rate for one type of treasury security has changed over the past ten years. Treasury securities come in different forms, based upon how long they take to mature. Treasury securities are sold in $100 increments, starting with $100 and going up to $5 million. When you buy one, you are not paying for the value of the bond, then receiving interest. Instead, the price you pay plus the interest that accumulates adds up to the value of the bond. T-Bills you are paid all the interest when it matures. For example, if you invest in a $1000 T-Bill and the investment rate is 3%, you will pay $970. After it matures you will receive your original investment, with an additional $30 of interest, making the total value $1000. Hence why it is a $1000 T-Bill. T-Bonds and T-Notes pay interest every 6 months until the security matures. So if you buy $10,000 worth of 5 year T-Notes at an interest rate of 5%, you will get $50 a month until the end of the 5th year when you will get $9600 (your original investment of $9500 plus the final interest payment). Technically you don’t simply purchase these securities. They are auctioned off. There are two ways to bid, competitive and non-competitive. In competitive bidding, you would specify the rate you wanted and it can either be accepted or rejected based on the outcome of the auction. However, for the less experienced investor, I recommend you use the non-competitive bid. In this case, you just accept the rate determined at the auction. You can look more into the auction process, as well as purchase a Treasury security at TreasuryDirect. Now that you know what treasury securities are, what should you consider before purchasing one? To start with, your money is guaranteed by the United States Government. You can’t get much safer than that, especially in hard economic times like right now when the stock market is not the most reliable place to invest, especially in the short term. You CANNOT lose money on a security if you keep it to maturity, which is a great benefit. Also, interest you earn on the treasury securities is exempt from state and local taxes. Interest rates are locked in when you buy, which can be a positive or negative thing. If interest rates drop while your security is maturing, you are making more money than, say if you had kept your money in a savings account. For example, if your treasury is locked in at 6% and the Fed lowers rates to 4%, the bank will probably offer you a lower rate than the treasury. However, if the rates rise, you are not making as much money. It is possible to sell Treasury Securities before they mature. There is a market in Chicago that works similar to the stock market. For a small fee, you can sell your security to other investors. However, the amount of money you can get is dependent on the rates (controlled by the Fed) when you are trying to sell it. If the lowers the interest rates after you bought your security, you are likely to sell your security for a profit. If your treasury is locked in at 3% and the fed lowers the rates to 2%, your treasury is worth more since you now have a higher yield than the market. Wouldn't you be willing to pay more to get a treasury that yields 3% rather than one that yields 2%? However, if rates have gone up since you bought your security; you will likely have to sell for a loss. Let's say you have a T-Bill with an interest rate of 3% and the fed raises its rates to 5%. All new T-Bills are now being sold with a 5% interest rate. Why would someone pay you for your $1000 T-Bill when they can just buy their own and get the higher interest rate? Nobody is going to give you $970 when they could buy their own for $950. Thus the only way to entice someone to buy is to offer it at a loss, such as selling it for $920. If you are looking for an emergency fund that you’ll need to tap into at a moment’s notice, securities are not the right place for your money. You have to wait for it to mature before you can cash it in. If you need the money before it matures, you might have to sell your treasury at a loss. However, what if you know you won't need the money for a few years, and you do not like the risk of the stock market? Treasury securities would be a good choice in this situation. Some people also like to put their money in securities with spaced-out maturities, such as splitting your money between 3 and 6 month T-Bills that mature two months apart. This way every two months you can re-evaluate whether Treasury Securities are earning you the best rate. If they are, you can just immediately reinvest it; if not you can remove your money and invest it elsewhere. It also gives you better liquidity than if all your securities matured at the same time. One benefit of T-Notes and T-Bonds is that they pay interest every 6 months. You receive some money without having to take out your investment, which is impossible in the stock market. The downside to this is that your interest is not compounded. Treasury Securities are a good choice for money you cannot risk since they are backed by the government. They are also a good choice when you can wait for them to mature, otherwise you run the risk of losing money. You should evaluate your risk level and situation to determine if tresauries are right for you. Where Can I Invest Other Than The Stock Market? The past few months have made people lose faith in the stock market. This has left many people asking the question where else can I invest my money? Starting today, I am running a week long special focusing alternative investment opportunities to the stock market. Each day I will have a new post on a different investment vehicle. Starting tomorrow The Penny Daily is going to start a week long special about different investment methods other than stocks. Everyday there will be a new post about ways to invest your money such as CDs, Saving Accounts, Bonds, etc... And don't worry, for those of you invested in stocks, we will still have detailed coverage of the corporate earnings reports and what it means for your investment! I hope everyone is enjoying their weekend! I just wanted to post a few important dates that are coming up which should move the markets. These is for the week of Jan 26th-30th. On Monday we will see existing home sales figures. McDonalds, Caterpillar, Tyson Foods, and Kimberly-Clark all report earnings before the bell. Texas Instruments and Amgen both report earnings after the bell. On Tuesday we will have the consumer confidence number out. Dupont, Verizon, AK Steel, Peabody Energy, EMC, Badger Meter, US Steel, Nucor, and Valero Energy all report earnings before the bell. Yahoo, Sun Microsystems, Gilead Sciences, and Norfolk Southern all report earnings after the bell. On Wednesday we have the Federal Reserve rate decision and the mortgage applications number from the Mortgage Bankers Association. Pfizer, Boeing, ConocoPhillips, AT&T, Wells Fargo, Hess, and the New York Times report earnings before the bell. Starbucks, Qualcomm, Boston Scientific, Boston Properties, and Ameriprise Financial all report earnings after the bell. On Thursday we will have durable goods numbers and new home sales. 3M Company, Altria, Fortune Brands, Auto Nation, Celgene, Starwood Hotels, Eli Lilly, AstraZeneca, Colgate-Palmolive, Occidental Petroleum, Wyeth, International Paper, Raytheon, and Sony all reporting earnings before the bell. Amazon and Monster report after the bell. Finally on Friday, we have University of Michigan's Consumer Confidence Index. Proctor and Gamble, Honywell, Cheveron, Simon Property, and Gannett all report earnings before the bell. Exxon Mobile reports earnings mid-day. These earnings will be horrible, and end up sinking the market next week. We should re-test, if not break the previous November and October Lows we had. It is not a good idea to invest in the market next week, wait for the new low in the market to come where you can find better bargains. Also very IMPORTANT: On FEB 6TH unemployment numbers for the month of January come out. Wondering What Happened With Oil Prices? I want everyone to watch this excellent video. It is an extremely good explanation of why oil prices were so volatile this past year. Today Harley Davidson announced its profit dropped 58% for the quarter. To offset losses, Harley Davidson is laying off 1,100 people and closing down three factories. Harley Davidson is an unfortunate reminder that the unemployment scene is getting worse. Do not invest thinking that unemployment has bottomed or will improve anytime soon. Unemployment should bottom around 9-10%. I will be updating which companies are making layoffs so you can get a better picture of just how bad unemployment is going to get, and adjust your investments accordingly. General Electric's Dividend, Is It Safe? Earlier today, earnings came out for more companies including conglomerate monster General Electric. Just a quick take on what GE's earnings mean for you. First off, General Electric reported a 40% loss in profits, takings its stock down another 7%. Its obvious GE's Capital branch hurt revenue, however GE also stated low sales in its Consumer Electronics branch. GE Consumer Electronics is a reminder that consumer spending is still down, do not believe analysts when they say consumer spending is coming back. Also, earlier today GE CEO Jeffery Immelt came on CNBC and stated that they are standing by their dividend of $1.24 for the year of 2009. Many financial analysts are coming on T.V saying GE is going to have cut the dividend, but that might not be the case. People forget that GE Infrastructure actually had an increase in revenue this year, their windmill technology has been skyrocketing and will provide revenue for the dividend. As the Obama Stimulus plan goes into action, watch for GE to receive a good amount of business in the second half of 2009 in its industrial arms. The cash GE receive from its industrial arms can back up its dividend. GE also has over $40 billion dollars in cash. CEO Immelt is very serious about maintaining the dividend and satisfying GE investors. Let me say it again, Immelt is VERY SERIOUS about keeping the dividend. He think it is the best way to allocate GE's cash in today's market. I think GE will maintain its dividend, making it an excellent dividend investment for 2009. GE is yielding almost 10% percent right now. With share prices of all stocks taking a beating this year, GE's 10% dividend might provide a nice safe haven. Microsoft was slammed today. Its shares fell 12% today after the company announced it missed analyst's estimates. Microsoft's profit was down to 4.17 billion dollars, from 4.71 billion dollars a year ago. Microsoft also recorded revenues of $16.63 billion vs. expectations of $17.08 billion. Microsoft also announced it will not give revenue estimates for 2009, a sign of management's lack of confidence in their business outlook. On top of that, the company announced it will cut 5,000 jobs. Software engineers were once considered to be in high demand, but the fact that unemployment has started to spread into the software industry is a sign that unemployment is going to continue to rise. Microsoft's weak earnings reiterates my earlier post of waiting to make investments until the bulk of companies have released their earning report. I know Google posted better than expected earnings today, however they are a rare case and should not be a sign to dive into the market yet. This post got featured in the Carnival of Financial Planning. Check it out! So lately you have seen bank stocks plummet. Many of you may be confused as to why because bank CEOs and financial analysts have been saying that the banks are financially sound. You have even seen Bank of America, the largest bank in America buy back shares, a move done when management feels their shares will go up. So if there seems to be so much confidence in the banking system, then why, are their shares dropping? Because of what investors do not know. Investors do not know if the government is going to inject more capital into banks and end up nationalizing them. We have already heard talks of this happening in Europe, where the governments of the European Union have said they are considering nationalizing their banks. And after Meredith Whitney, from Oppenheimer & Co. came out earlier this year and said banks would need to raise more capital in 2009, the fear of nationalizing banks has spread to America. So what if the banks are nationalized? If the banks are nationalized, all your shares in the bank will be worth nothing. You will lose your investment in the bank, hence why shares have fallen so drastically, no one wants to own them. Additionally, as the government injects more capital, they also make more rules on how the banks can spend it, and in essence, run their business. Investors do not like all the rules that the money banks are forced to take are coming with. If you think the banks will not end up being nationalized, they might make a good investment. The managements of banks are claiming they are solid, and the analysts following them agree. If you are to invest in a bank, invest in a larger one like Bank of America or Wells Fargo. These banks are large enough to make it through these tough times. Additionally, Tim Geithner, the new Treasury Secretary, said he was against nationalization of the banks, instead he wants to seek private investment into the banks. Banks have been rattled by this fear and are trading at extremely low prices, if Geithner follows through with his statement, you could make a lot of money when the banks return to prosperity. If you are going to invest in banks, wait until we get a better picture of what team Obama is going to do. Let the new stimulus package go through talks with the GOP, because it will surely be changed to please both parties. If however, you think that the government is going to take over one of the banks, stay away, you risk losing ALL your money. The upcoming stimulus plan will, without a doubt, have an impact on the markets. We saw the greatest point drop in history for the Dow Jones Industrial Index when the 700 Billion dollar Troubled Asset Relieve Program (TARP) bill did not pass Congress. And then we saw huge upswings when the bill was revised and passed. Investors everywhere are looking to President Obama (feels nice to not have to say President-elect anymore) to see how the stimulus plan will shape up. Investors are looking to invest in companies who will receive business from the stimulus plan, and therefore are following President Obama's every move. So how important is Obama to the stimulus plan, and therefore your investment? Not that important. If you are following Obama's every word to try and gain some early insight on when the stimulus bill will be passed, you will not gain much information. Instead look at Republican leaders in the House and Senate. Most people forgetting that Congress will decide the fate of the stimulus bill, not President Obama, so they are not looking in the right direction. Follow what GOP leaders are saying, because they are the ones who will be the ones stopping the bill from passing. Depending on what the GOP leaders are saying, you will be able to tell if the bill gets passed or not. Right now, it seems that GOP leaders are not opposed to spending money, but opposed to HOW the money in the stimulus bill is going to be passed. House Appropriations Committee's ranking Republican member Jerry Lewis, R-Calif., has said that Republicans are ready to vote against the bill if they are not satisfied with how the money will be spent. Republicans will be working with Democrats to get a bill that both agree on, but it might not happen quickly. The following days will be critical to follow, make sure you are following what Republican congressional leaders are saying about stimulus bill, if they are satisfied or not. This will give you great insight on whether it will be passed or not, so you can adjust your investments accordingly. Many "expert" investors have rules set out for how to invest in companies during recessions. These people say stick with "recession proof" stocks, as I stated in an earlier post. The idea of this investing method is that recession proof stocks will not go down much during a recession. The companies will not grow in earnings drastically, but at least they will not go down. But that is kind of safe and boring. What if you are young, can afford to take some risk, and are looking to make a lot of money? You probably think I am crazy for thinking you can make big money in today's heinous market. But you can. To do so, look for companies that will end up growing their business because of unemployment. For example, online education. Companies like American Public Education Inc. (AEPI) might actually do well with unemployment. As people lose their jobs, they will turn to education. When you cannot find a job, going back to school is a good option. More importantly, for those with families, traveling to school might not be an option. Here comes the role of online colleges. Online Colleges like AEPI will probably see their earnings grow when unemployment rises, meaning they could be a good investment. Another example is auto mechanics and car parts suppliers. When people cut down on spending, they will not be buying new cars. Since they do not buy new cars, their cars get older and need repairs. Companies like AutoZone, Inc. are poised to increase earnings from an aging American car fleet because people will need to buy parts in order to fix their existing cars, rather than buying a new car. In short, if you are looking to make big money in the market, while accepting the increased risk, look for stocks that will play off of the bad economy, stocks that benefit from unemployment and lower consumer spending. I said in an earlier post that the economy is not getting better anytime soon. There have been many people saying housing has bottomed, the economy has bottomed, and that the credit markets have improved as banks have started lending again. I do not want to seem like a pessimist, but it is important for investors and those whose jobs are at risk to know the health of the economy. 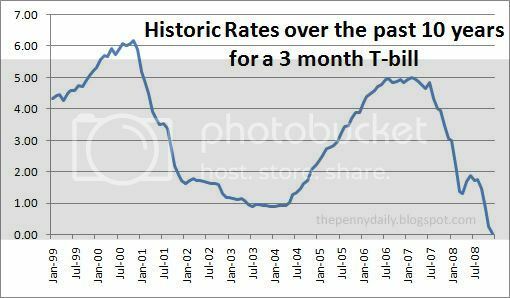 A recent post at nakedcapitalism blog provided a few articles showing how banks have now stopped lending to home builders. This is important for you to be aware of because if banks have just now stopped lending, clearly housing has not bottomed. 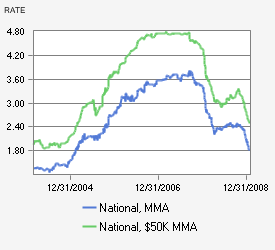 Also, the credit markets have not thawed yet, there are still shutting down lending. With credit markets still frozen, the economy will not be growing anytime soon because no business can get the money they need in order to grow. With home builders now unable to get loans, you should see a large wave of bankruptcies. If you are looking to invest in companies tied into home building because you think the housing sector has bottomed, steer away. These companies will only see their problems amplified, not only can they not sell homes, they cannot get the funds to keep themselves alive. This will also, without a doubt, increase unemployment numbers as builders look to layoffs in order to cut costs. There is still a lot of time before housing picks up. Do You Know Where the Money Is Going? You may know that Obama is calling for a new stimulus plan. But do you know how the money is actually being divvied out? The infractructure program in particular sounds like a good plan since it will create many new jobs. I suggest you read the USA Today article since it gives a good description of how the money will help the different areas the money is being relegated to. One of the easiest ways to cut back is to shop in the right places. Many people shop at more upscale grocery stores simply because they are "nicer" than others. Many people shop at a higher end grocery store, just because they see other stores as below their standards. While this can, and sometimes should, come into play when buying produce or pre-prepared meals, does it really matter where you buy your cheerios? Staple items, prepackaged meat, anything that comes in a box, can or jar, etc, can all be bought at any store and be EXACTLY the same. The only difference between them is the price. They don't ship the better packages of oreos to Harris Teeter, yet they still charge 50 cents more than their competitor Giant. This may not seem like that big of a difference, but when you add up the differences for several different products over several different shopping trips, it starts adding up. This is one of the easiest ways to save money. You don't have to sacrifice anything, nobody is asking you to cut the oreos out of your diet. All you need to do is a little research to find out where to get the lowest price. For your basic items, the "low scale" grocery store is the best place to shop, even if you prefer the nicer one. Maybe you can go to that more expensive store for your fresh herbs because the difference in price is equaled by a clear difference in quality. It's not worth the bump in price when the product is the same though. Also, sign up for whatever membership card your grocery store of choice offers. Most have a free savings card that is completely free, but can save you hundreds of dollars. They get you discounts on a huge selection of items. The first half of this year is not going to be positive for the stock market. The rising unemployment in America, mixed with the worsening bank situation is only making the fundamentals of the economy worse. Knowing that, if you are looking for a quick trade, wait until after next week when 1/3 of the S&P 500 releases their 4th quarter earnings. The poor earnings have NOT been priced into stocks yet, as seen with the huge downturn we have had the last week. The markets will go down next week when the big players release poor earnings. After earnings are out, we should see a small bounce in the market. It’s clear that investors want the market to go up, as seen in the beginning of the year. There was no news out to change the economic landscape, yet we saw a substantial rally in the markets. After earnings come out, there will be excitement for a stimulus plan that President-Elect Obama will be hard at work with Congress to get something passed. Look to invest in some stocks that were beat down during earnings season, but that should fare well from the Stimulus hype. Look for stocks like Caterpillar, AT&T, and Honeywell, stocks that will benefit from infrastructure spending. But please, beware, do not hold these stocks for long, they will go up only because of excitement. Sell them before unemployment data comes out for the month of January. This data will bring investors back down to Earth and remind them of the worsening economic scene. The infrastructure spending will not really impact companies for months, so it is not time to invest in them for the long run yet. Do not let anyone fool you into thinking economy is getting better anytime soon. The single most important thing in the economy is JOBS. And they are not picking up. Many people do not fully understand just how bad job cuts are getting, and they are only going to get worse. CNBC recently published an article showing the amount of job cuts and which companies are cutting them. Jobs that once seemed secure are no longer secure. It is important to know what sectors are losing jobs in order to see if you are in risk of losing your job or not. Where In The Market Should I Invest? This post got featured on this week's Money Hacks Carnival. Check it out! It is difficult for everyday people to make a lot of money investing in stocks because they only invest in companies they know. These companies tend to be the large market cap stocks like Microsoft, Exxon mobile, Proctor and Gamble. The problem with these stocks is that the companies are so large and have so many analysts following them that they are rarely mispriced. They are mature companies so the growth has already been done. Microsoft and Exxon Mobile are already so large and do so many things that they do not have that much room left to grow. Investing in these large companies, since they will not grow like a small startup company will, is not going to earn anyone big money. These large cap stocks only go up or down when the market as a whole moves. If you wanted to make a lot of money through Microsoft, you had to invest in it when it first started, not when it is already fully grown into a 200 billion dollar company. To make a lot of money in stocks, you need to invest in small companies that will one day turn into Google or Microsoft. The problem with this is that these small companies are hard to find, most average investors are not going to be able to spend the time researching small cap stocks. Nor do they have the business intelligence to be able to pick a company out of thousands that is going to be the next Google. Most people will not know what makes good management or if the small company has a viable business model. Thus, most average investors should look to invest in stocks with high dividends because they are going to make the bulk of their money investing through dividends, not stock growth. Right now is not a great time to get into the market. Unemployment is on the rise, currently it is at 7.2% but I think it will go as high as 9-10%. As unemployment rises, companies will continue to suffer because people will not be buying their products. Because no one is buying their products, they will not be growing at all and their stock price will not go up. If you want to invest right now, I would suggest you invest in companies that are "recession-proof." Meaning the business of company will not suffer during a recession. For example, Altria Group(MO) makes cigarettes and Bristol Myers Squibb (BMY) is a pharmaceutical company. When people cut back on spending, they will not cut back on cigarettes and their prescription medicines, for the most part. Thus the business of these two companies are recession proof because they can continue to earn money in tough economic times. Also, look for companies that give high dividends, because the overwhelming majority of stock are not going to go up this year, but you can still make money through dividends. That way your investment is still giving you some kind of return. Entrepreneur.com has an article listing 10 ways to improve your credit. After yesterday's post on the importance of your credit, I thought these tips would be helpful. These are just the 10 ways to improve your credit score. I recommend you read the whole article here. There is an in-depth description of each strategy which is really worth reading, even if your credit score isn't low. If you ever turn on CNBC or read any financial websites/newspapers you will see a hoard of so called financial "experts" giving their take on what is going to happen with the economy and where you should be investing. After you survey all their opinions in order to gain some direction on what you should be investing in or where the economy seems to be going, you will end up where you started. Half of them say the economy is going to get better, half say it's going into a depression. But one of these analysts has stood out. That's Meredith Whitney, an analyst at Oppenheimer & Co.; she has been dead right on calling the mortgage meltdown and predicting the need for capital by banks. The market has fallen in love with her because of her accurate predictions, and thus she has earned their trust. CNBC took a poll in December asking who the most important person to the stock market was. Meredith Whitney won easily. Her voice is so strong that when she predicted banks would need to raise more capital, bank stocks plummeted. I have attached a few of her predictions for the future state of the economy. Just because she has been right in the past does not mean she will be right in the future. I am not suggesting you should do whatever she says, but it is certainly worth taking her opinion into consideration. So what is the government doing to help? The state of economy significantly impacts your life. You've probably have to make some kind of change in your life because of the current deteriorating economy, so it is important to know how the government plans on fixing it. The government has two methods of stimulating the economy: monetary and fiscal policy. Fiscal policy, in short, are those policies that involve taxes and government spending. The "bailout" programs you have heard about fall under this category. Monetary policy, in short, is the lowering and increasing of the Federal Reserve's interest rates. So how do you set these policies to help our economy? Well for fiscal policy, lowering taxes means people have more money to spend, which stimulates the economy. The second part of fiscal policy is spending money. The government spends money by setting up projects for America. For example, the government might decide to pay to have new roads put up all over America. First, you need people to build those roads, thus government spending creates jobs. More jobs are always better for the economy because it gives people money to spend. Additionally, the government will need to get the tar, trucks, and various other supplies for building those roads. These supplies will need to be bought from businesses throughout America, which helps out America's lagging businesses. President-elect Obama plans on spending hundreds of billions of dollars on infrastructure (building roads, electrical grids, new water supplies), which will help out the economy. The second policy is monetary policy. Monetary policy is controlled by the central bank, which in our case is the Federal Reserve. The Federal Reserve's most important job right now is the lowering the interest rates. When the Federal Reserve lowers interest rates, local banks lower the interest rates they give out on their loans (more about why Fed rates dictate bank rates). When interest rates are low, businesses can afford to take out loans and can use the money to expand and grow their business. When businesses are growing, they create more employment and when they are able to access the money they need, they can prevent from bankrupting. Small businesses are able to start up because they can acquire loans, which create even more jobs. Also, when interest rates are lowered by the Fed, banks lower the rate they are willing to give people for investing their money into the bank. For example if Bank of America offered 4% interest for anyone putting money into their savings account, and the Fed lowered interest rates, Bank of America might only now give a 2% interest rate for the savings account. The lower interest rates are, the less incentive people have for putting money into banks and more incentive they have for spending it. As consumer spending comes back, so will the economy. So that is what the government is doing to help the economy recover. I will be talking more about the Troubled Assets Relief Program (TARP), which is all the "bailout” talk you hear, in an upcoming post! This post was featured on this week's Carnival of Debt Reduction. Go check it out! Have you ever wondered why your friends are paying less interest for their mortgage while you are stuck with a high rate? Probably because of your credit score. When you get a loan, the first thing that comes into account is your credit score. Credit scores can range from 300-850. The higher the score, the better. You are scored based on your credit history; whether on past credit card loan, mortgages and car loans, you paid your bills promptly. Why does your credit score matter? Well, let’s look at it from the creditors’ point of view. They are lending you substantial sums of money, with no guarantee that you will pay it back. Your credit score gives them an idea of how reliable you are. With a high credit score they will give you a low interest rate because they are not taking much of a risk lending money to you. If you have a low credit score, the creditor is taking a risk by lending you money. In return for taking a risk on you they expect a higher reward, which comes in the form of higher interest rates. Also, credit doesn’t only affect your potential for loans. Did you know employers are legally allowed to deny an applicant for a job if they have a low credit score? It makes you appear to be irresponsible, and nobody wants to hire an irresponsible employee. Now a low credit score is not only costing you more money in interest, but costing you earnings as well! And don’t be fooled into thinking you can just not have a credit card and you’ll be fine. Your credit doesn’t start at a perfect score, and then drop as you make mistakes. You have to build your credit by showing that you can pay back the loans you take out. This is one reason I recommend that parents cosign on a credit card with their children as soon as they qualify. The card doesn’t have to have a high limit and ideally it would be best if it was just used for small purchases that would be paid back in full at the end of every month. It is a good way to build up credit before entering the real world. $192,600 over the entire 30 year mortgage. Think of all the things you could do with $192,600. You could buy that Ferrari you always wanted :) By keeping your credit score high, you could save hundreds of thousands of dollars. And this is just one loan. Imagine if your credit cards, car loans, etc all had the same savings! The Economy is a Mess... But Why? You know the economy is in a recession, but do you know why? You hear different “experts” pointing fingers at housing, some at Wall Street, others at banks, but no one REALLY explains what is going on and how we got here. In case you guys wanted to fully understand what has conspired to get us into this economic mess I have provided a radio cast, The Giant Pool of Money, from Chicago Public Radio's show, This American Life. The radio cast is long but it does a phenomenal job explaining the events that conspired that lead us to the mess we face today and why. The first few minutes are a little boring, but do not let that deter you. Let me know if you need clarification on anything or have any questions! If you are looking to cut back spending, one of the most important things to do is to see where you are spending your money. Track it for a few months and you can see what amount you should be spending, when you overspend and where the best areas to cut back are. I recommend mint.com as a way to track and budget your money. It is a completely secure website that takes the information from all your financial accounts and compiles it in one place. I’m sure you’ve been using a program like Quicken for years, so why should you switch to mint? First off, mint automatically updates every time you log into the site. It also automatically labels every purchase you make. Say you went to McDonalds, mint knows that is a fast food purchase and labels it as such. You can also set it up rules for how mint will label your transactions. If you only go to McDonalds for the kids, then you can have a rule that labels it kids instead of fast food. The way it breaks down your transactions is also interesting. First it separates it by general categories such as food, entertainment, bills, etc. Then you go more specific within those categories with groceries, coffee shops, restaurants, fast food, etc. You can track your spending on every level. The pie charts it gives you are also great for a visual breakdown of where your money is going each month. You can set up budgets for each month, both overall and for specific transactions. The ease at which mint compiles all your accounts and automatically categorizes everything for you as well as the variety of functions they offer are definitely worth switching for. How does this help you? Imagine you are on vacation for a week without a computer or any way to measure your spending. You can get a text when you’re going over your budget for food for the week. Even better though, is the potential to find out if you’ve been a victim of credit card fraud or identity theft. You don’t have to wait until your bank finds out and sends you a statement. Mint will notice when there is an unusually large purchase or withdrawal. Mint.com is a great financial tool, and I’ll be giving you more financial tools to help you save money. Check out the Carnival of Saving Money since this post is included! Chances are you have wasted tons of money by falling for brand marketing. It’s okay, it happens to all of us. Brand marketing is when companies make you believe a certain perception of a brand rather than the product. This is done so you think that all the products of a certain brand are better than other products, without looking at the specific product. Let’s take an example of the two brands, Old Spice and Zest. Both are brands involved in making personal hygiene products; however consumers say they think Old Spice is the better brand. Zest Hair + Body body wash claims to be superior over Old Spice High Endurance Body Wash because it offers both a hair and body wash. However, Old Spice claims to be better because it offers a "3x Clean Guaranteed." A closer look at the ingredients provides interesting results. The ingredients in Zest are Water, Sodium Laureth Sulfate, Sodium Sulfate, Cocamidopropyl Betane, Fragrance, Sodium Lauroamphoacetate, Citric Acid, Sodium Benzoate, Polyquaternium-10, Disodium EDTA, Methylchloroisothiazolinone, Methylisothiazolinone, Yellow 10, Green 3. Did you feel déjà vu when you read the second list of ingredients? That would be because the ingredients are the EXACTLY SAME (other than the colors of the body wash which is unimportant). Furthermore, both products are made by Proctor and Gamble. If Proctor and Gamble truly believed one these two products were superior, why would they waste money making the other? The price for Zest is about $3.59 for an 18oz bottle, and Old Spice costs $4.63 for an 18oz bottle at the same store. Both products offer the same ingredients, same size, yet Old Spice is more than a dollar more. Why? Brand Marketing! Old Spice is perceived as a better brand, even though it is the exact same thing as Zest, so people are willing to pay more money for it, for no reason whatsoever. Don’t be a victim of brand marketing. Don’t be suckered into paying more money for the same product. Look at ingredients, who makes the product, make sure that if you are paying more money for something, you have a good reason to. Gas may be cheap now, but don’t let that fool you into needlessly wasting gas. Prices could skyrocket again soon (which I will discuss later), and then the bad habits you’ve gotten into lately will start to hurt you even more. Everyone knows the big gas savers, such as don’t go on road trips, carpool, etc. But those are big changes. Did you ever consider that if you consolidate your trips, you could save a lot of money on gas? Go to the grocery store once a week rather than before every meal. When you have to go to a particular shopping center/area of town, make as many stops there as you can. Make a list when you need to go shopping so that you don’t end up making multiple trips after you’ve forgotten something. If you need to stop and get something after work, stop on your way home rather than coming home and going out later. If you only need one thing from a store and you don’t need it right away, wait until you need more things from that store. These may seem like simple things, but that’s the point – they are simple and easy to do. All you need to do is plan a little bit before you go out. And the results will add up. Are you ever surprised when your computer comes up with a low ink error when it feels like you just refilled your ink days ago. You may not realize it, but ink is not cheap! Ink purchases can really add up. Especially if you have young children who often print unnecessary things without considering the costs behind it. How often do you print out a simple article, only to find what seemed like a short article is now two or three pages after color advertisements are added. Color ink is much more expensive than black and white. The text of your article is almost always in black/white, however, it is the unnecessary advertisements that end up wasting your colored ink. Set your computer's default printing settings to black and white. This way, your color ink can never be accidently wasted. If you use your printer a lot, this could save you up to $30 a month in color ink. Also, if you are only trying to print the article, try selecting the text that you want to print before hitting the print button. Then in the print settings, instead of choosing "all" choose "selection." This way you save money in both paper and ink by not printing the parts of the website you have no need for. Your electricity bills can really pinch your wallet. Easily the biggest component of your electricity bill is heating and air conditioning. So this winter, heat conservatively. In the winter, try use space heaters instead of heating your entire house. Space heaters in individual rooms use tremendously less energy than heating the entire house and they work just as well. Using less energy is less money. How often is there someone in every room of your house? It doesn't make sense to waste money heating your basement when you are upstairs in your bedroom sleeping. Also, invest in an automatic thermostat. You can set it so that in the middle of the night while you are sleeping, the heat will be turned down, and then it will automatically turn back up so the house is warm by the time you get up. You can set it to turn the heat off while you are at work or school. This way you aren't wasting money heating the house when nobody is feeling the effects. These thermostats can also be used in the summer to conserve money on air conditioning. Have you ever gotten to the end of the month and wondered where all your money went? Well, with a credit/debit card, you can find out. One of the easiest ways you can waste money is by carrying too much of it. Whenever you can, use a credit or debit card. Using cash to pay for things often results in loose change. The prices of things we buy are almost always decimal values, not whole dollars. When you use cash for these purchases, you're given back change. Change is easily lost, undervalued and spent. For example, if you pay for a $15.25 purchase with $16, you get 75 cents back. Since it is less than a full dollar, people assume it’s really not worth anything. A single coin may not be worth that much on its own, but over time, it really does start to add up. How much change is dropped and nobody bothers to pick it up? They spend it much more easily than they would typically spend money. For example, let's go back to that purchase of $15.25. When you paid with $16, you got 75 cents back. 75 cents may not seem like it's worth that much. So next time you pass a vending machine, since you have the leftover change, you decide to treat yourself to the candy bar you wouldn't normally buy. This may not seem like a large waste, but let's say you make this same purchase every day and use the change at the vending machine. You may not notice it, but after a year you have wasted nearly $300, just in change! Also, let's say you have $20.75 in your wallet. Since you have those 75 cents as change, you are more likely to not count the change towards the total money you have. You only think that you have $20. The 75 cents is "extra" money, so you may as well spend it because it won't impact how much money you have. Using a credit/debit card eliminates this problem. You never get change back, so you never feel that you have this extra money that you may as well spend on frivolous purchases. All that money that you would have wasted is now all compiled into a sizable amount. But the greatest benefit of using a card over cash is your monthly statement. When you spend cash, at the end of the month you have no log or way of knowing what you spent the money on. When you use a credit/debit card, your bank sells you a detailed report telling you everywhere you spent money. This is a great tool because you can sit down at the end of the month and see trends in your spending. Maybe you are spending too much money eating out, or spending too much money at the mall. It allows you to see where you should cut back on excessive spending. The Carnival of Personal Finance featured this post. Staying in debt is the worst financial move you can possibly make. Your debt holders will always charge you a high interest rate, sucking money from your wallet. Many people are tricked into making the foolish decision of putting their extra money into some kind of savings account. People often stick with paying the minimum monthly amount towards their debts, and stash away extra money. However, the reality is that, this causes great financial distress. On average, you will always end up losing money by putting extra money in savings rather than paying off debts. Here are some examples. Stocks are expected to have an average rate of return between 5-7%. A savings account is expected to earn interest at a rate of 2%. While a CD, depending on how long you put your money in for, is in between 2-3%. On the other hand, the average fixed interest rate for a standard fixed credit card is 13%. Loans for a new car are 7%. Let’s say you have $100 left over at the end of the month. If you put this money into the best savings vehicle, stocks, after one year you will earn about $7. However, if you put this towards your credit card debt, this is $100 less dollars you will be charged interest on. That is $13 (13% of $100) less in interest payments you make. You can either earn $7, then pay $13 dollars in interest - meaning you will lose $6 overall. Or you can earn $13 by saving yourself interest payments. Which sounds better to you? If you are putting your extra cash into a savings account instead of using it to pay off your credit card debt for example, you are losing money. Not to mention your credit history is going down the drain (we will talk more about this in a later post). Right now, thanks to the Federal Reserve, interest rates have plummeted, so banks are not even offering a decent rate for your money. That's not to say saving is a bad idea. Everyone needs to have money put away in case of an emergency. Just keep in mind that it is guaranteed you will save more money if you pay off your debts sooner rather than later.